At least 4000 people of Shona origin living in Kenya have launched a bid to attain citizenship after their families have been residing in Kenya for close to 60 years and yet they have remained undocumented and stateless rendering them vulnerable to poverty. The United Nations High Commissioner for Refugees is in an ongoing program of facilitating meeting between the Shonas and the Government in a hope of seeking a solution to their plight. The first batch of 100 Shona community members arrived in Kenya to spread the Gospel and established The Gospel of God Church. They then settled in Nairobi in Central parts of Kenya. The Shona missionaries used British passports to travel since Zimbabwe and Kenya were under The British colony. In 1963 when Kenya gained its Independence the missionaries stayed put although they were no longer documented since there was no provision in the constitution to document them. In an Interview with SABC One 77 year old member of the community says, "I grew up here however our biggest challenge is lack of documentation. I have been arrested many times because I did not have any form of identification." UNHCR's Catherine Hamon explained that the members of the community are neither Zimbabwean or Kenyan but are stateless. Poverty is a reality as they do not have identification documents that would allow them to buy land or even make a simple money transaction. Stateless people are denied the rights and benefits most people take for granted. These "legal ghosts" often live in poverty and are at high risk of detention and exploitation. 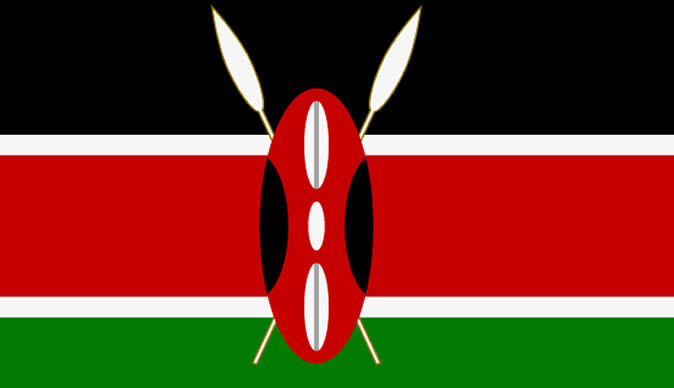 Some of the members have resorted to marrying locals so that they acquire documents since they do not have Kenyan birth certificate or identity card, necessary to attend school or university, open a bank account, get a job, passport or mobile phone, or enter government buildings. The Shona in Kenya keep themselves to themselves, bonded by their faith and meeting regularly at the Gospel of God church, brought to Kenya by their parents and grandparents. The church was founded in 1932 by Johane Masowe, a Shona prophet who believed he was a reincarnation of John the Baptist and travelled the continent spreading the word. Most of the Shona community make a living from traditional crafts. Men are carpenters, masons and builders, while women weave baskets and mats. The older generation pass their skills on to their children so that they too can make a living from their hands, but only Kenyan identity cards would allow the Shona to further their education and start businesses.